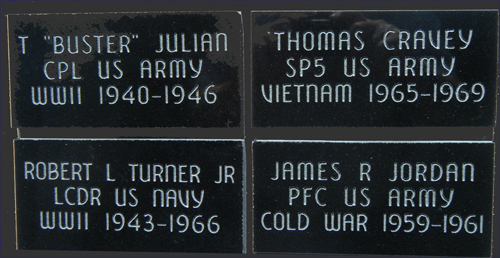 the tile design samples for the Camp County Veteran's Memorial. 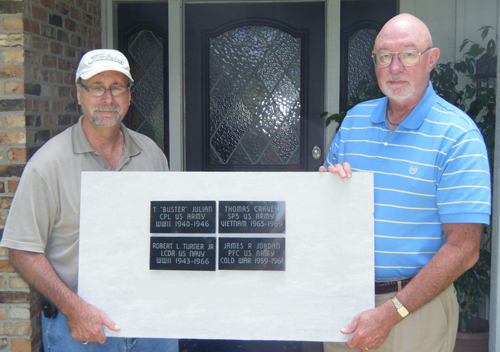 The first set of tiles have been fabricated to show exactly how they will look in the Camp County Veteran's Memorial. The following photo shows the details of the tiles. The 4" by 8" black granite tiles will be surrounded with black grout. There will be 1,500 tiles honoring members of all service branches who are from Camp County or have family in Camp County.